Originally published in 1995 and now republished with a new preface, Thoughts without a Thinker has been enormously influential in the understanding of modern psychotherapy and the relevance of mindfulness. Metapsychology published a review in 1999 by Thomas Cobb. Epstein has published several books since then, and they tend to overlap very much with this one. His basic approach is to focus on the methods and some of the main ideas of psychoanalysis and to show how there are similarities with Buddhist teachings, and further, how those Buddhist ideas can help and improve psychoanalytic practice. Given that traditional psychoanalysis is now practiced very little, it might seem that Epstein's approach would be of extremely limited interest -- only for those who are trained in psychoanalysis, using free association as the main method in sessions, and practicing long term therapy. These days psychotherapy tends to be more interactive between therapist and client, and free association is rarely used. Furthermore, most health insurance tends to discourage the use of long-term psychotherapy, so that is also rare. Modern psychotherapy is much more inclined towards cognitive behavioral methods focused on specific problems, and tends to be relatively short in duration. 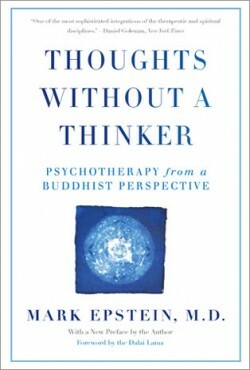 Nevertheless, mindfulness and meditation are increasingly relevant to psychotherapy as it becomes clear that Buddhist traditions have long explored the ability to become aware of the flow of thoughts and feelings in a person, and the ability to simply acknowledge and be with that flow without it spiraling out of control. Epstein argues that the psychoanalyst Donald Winnicott showed similar suspicion of the idea of a true self, although this is not the standard reading of Winnicott's work. Nevertheless, it is an extremely provocative and helpful idea, and one does not have to be a committed postmodernist to have reservations about the rhetoric of being real, being authentic, or discovering one's true self. The explorations of Buddhist ideas here provide ways of embracing emptiness and fracture without falling into nihilism. The subsequent sections of the book round out the ideas set out in the first, exploring ideas of self-awareness and self-change. This is far from being a self-help book, and it does not provide any particular techniques to achieve enlightenment, but it is relevant to any practice of self-understanding. So Thoughts without a Thinker remains a vital text which can be useful to a wide variety of psychotherapeutic approaches.